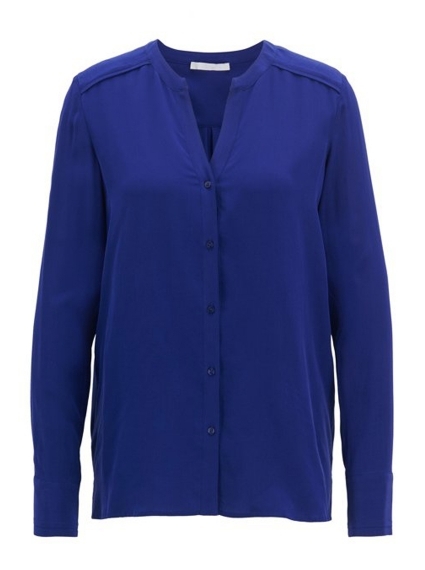 This beautiful blouse by BOSS Womenswear is crafted from luxurious silk. This collarless design is detailed with tonal piping and finished with a sand-washing process that gives the silk a soft, suede-like feel with an appealing matt finish. Use this versatile piece to build a host of professional outfits.